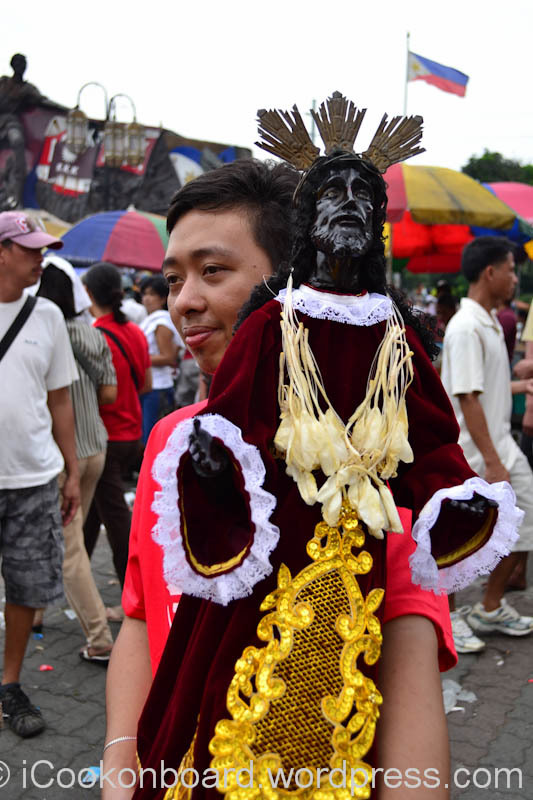 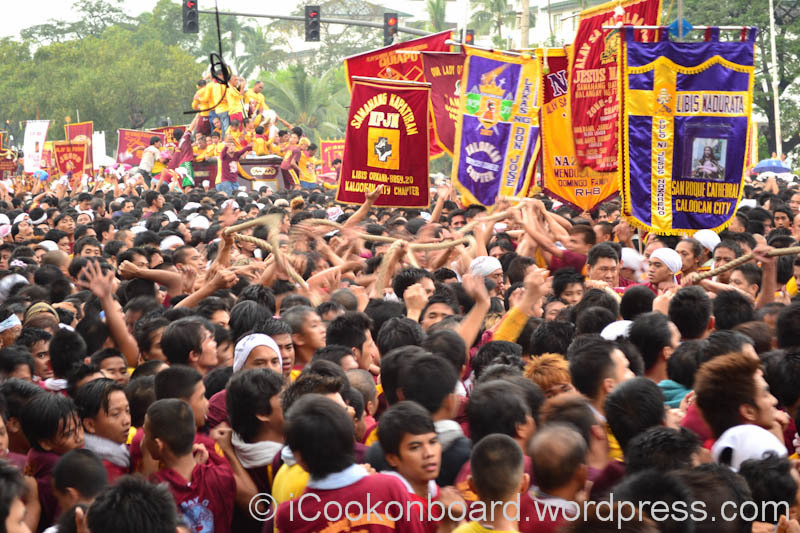 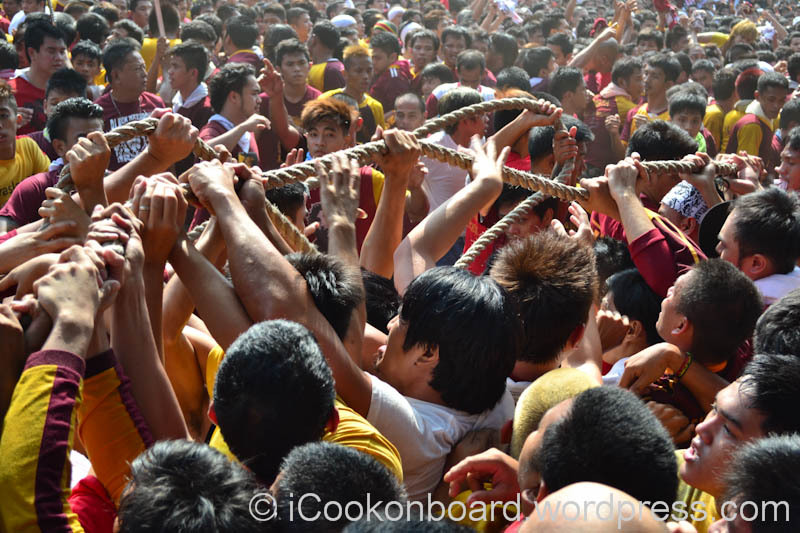 The Feast of the Black Nazareno is one of the most anticipated and the most crowded procession of the Filipino Catholics in Manila. 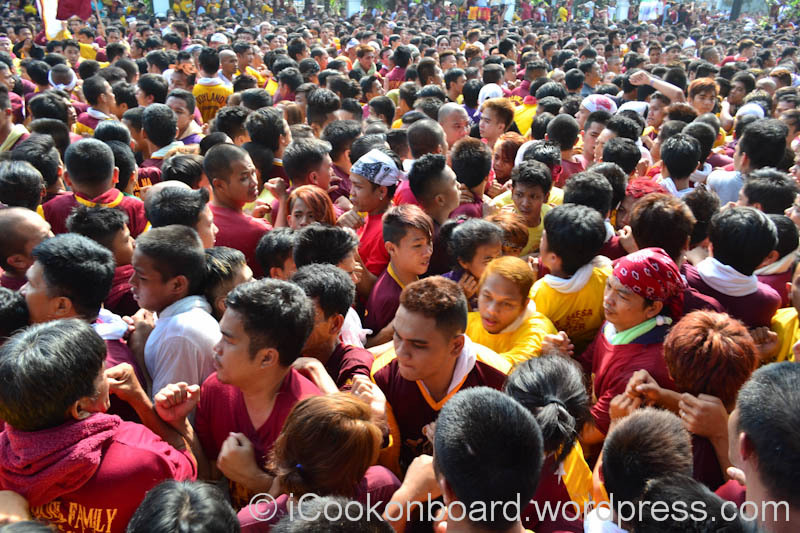 This year it is believed to attract more than 10 millions debotees or 10 percent of the entire population of the Philippines. 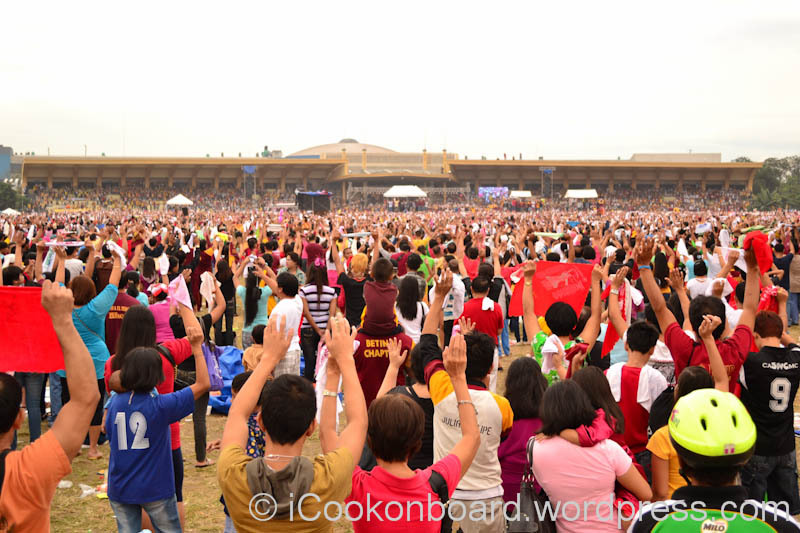 I and my wife will try to attend today, we will take this opportunity to attend together. 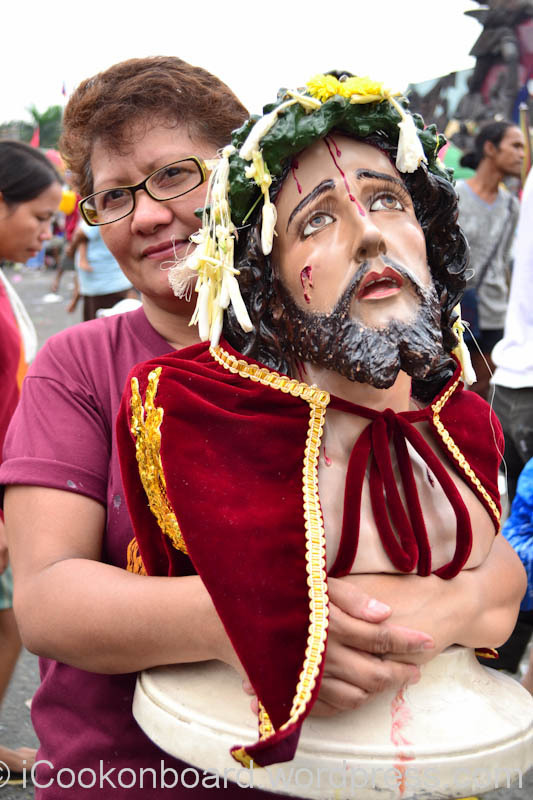 As a sailor, I can’t attend the yearly procession every 9th of January, but my wife promise to “Poóng Itim na Nazareno” that we will attend together given the chance. 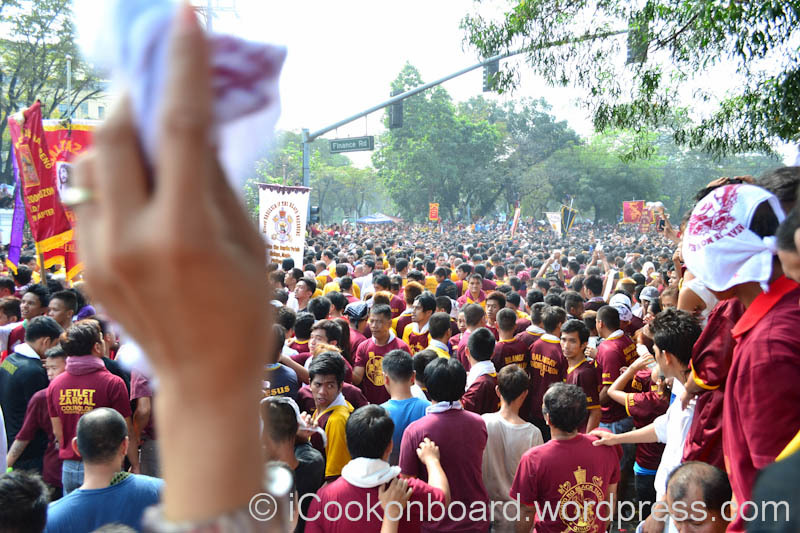 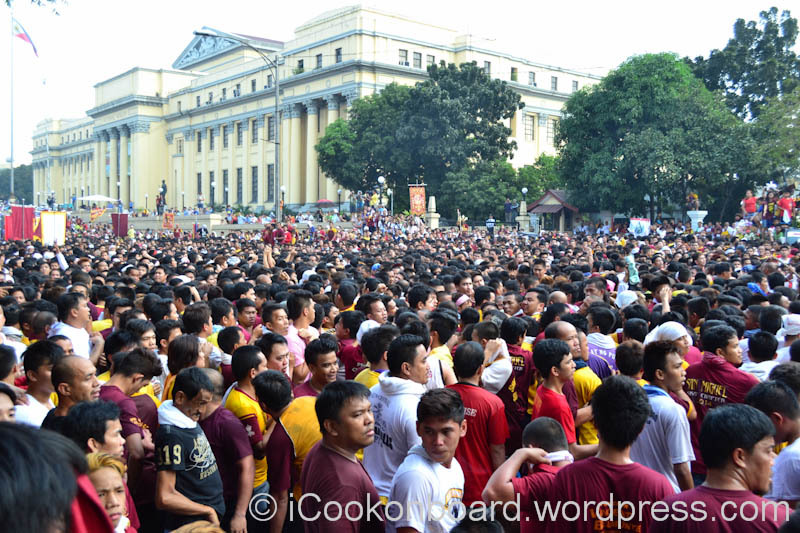 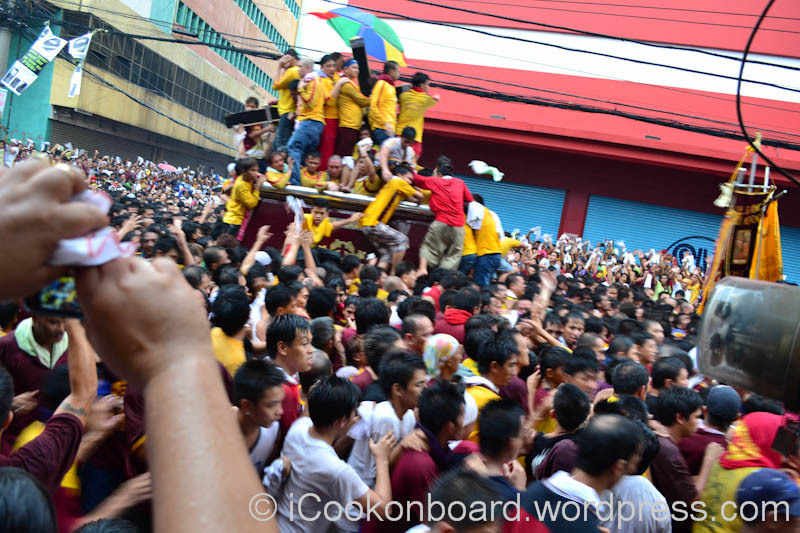 Many of you may be wondering, why several million Filipino debotees flock into the yearly event? 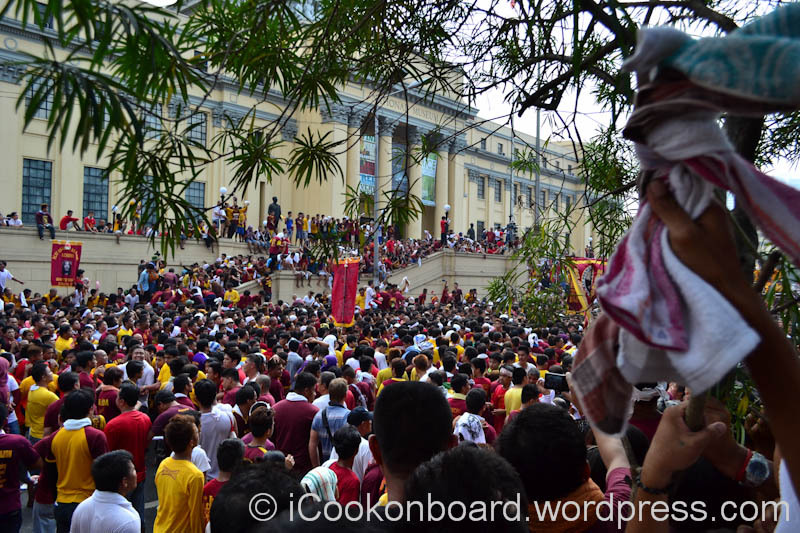 I got the chance to witness the event 3 years ago, photography led me to it. 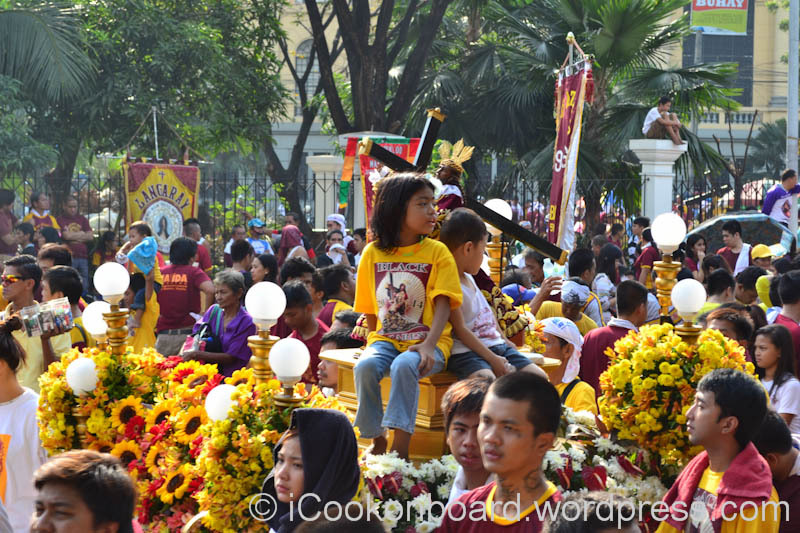 I’m not a debotee at that moment but surprisingly felt the coming of the KING as its carriage approaches right in-front of me. 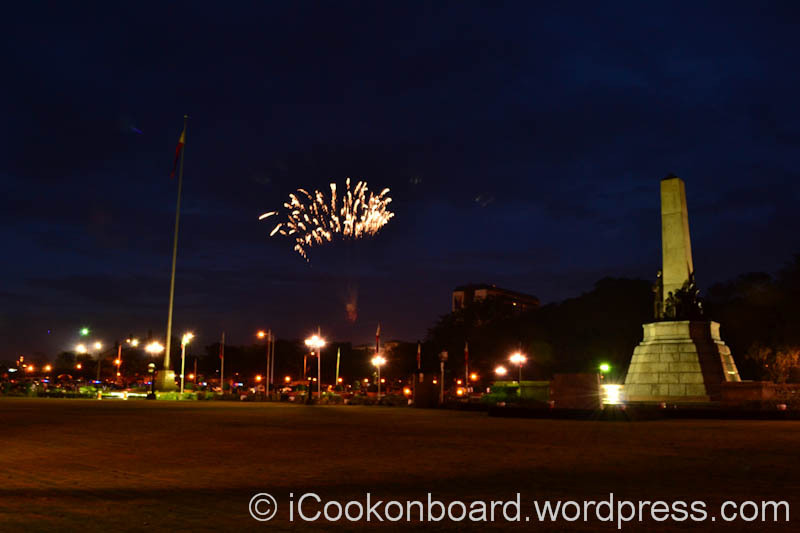 The feeling was intense and more spiritual compared to the Royal Wedding of Victoria, Crown Princess of Sweden, and Daniel Westling last 19th of June 2010. 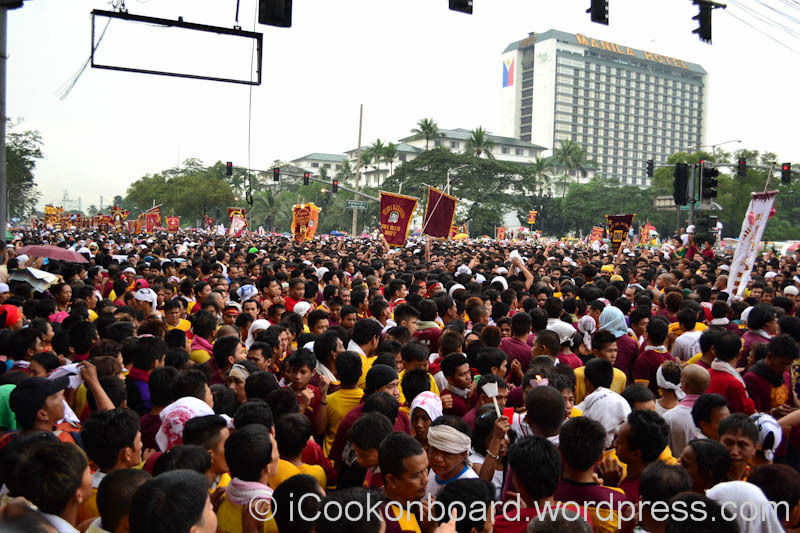 I arrive at Luneta Park around 5am, trying my best to catch the Mass before the Black Nazarene proceed to its procession. 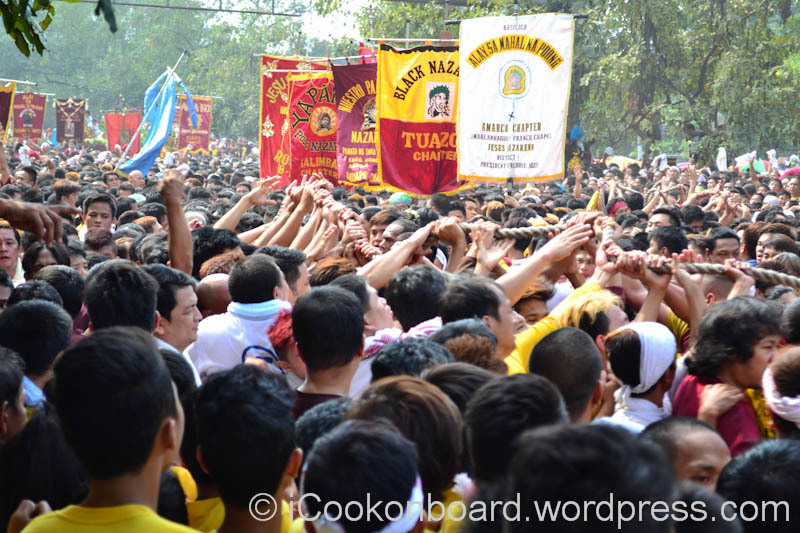 Debotee raised their hands to receive blessing during the Mass. 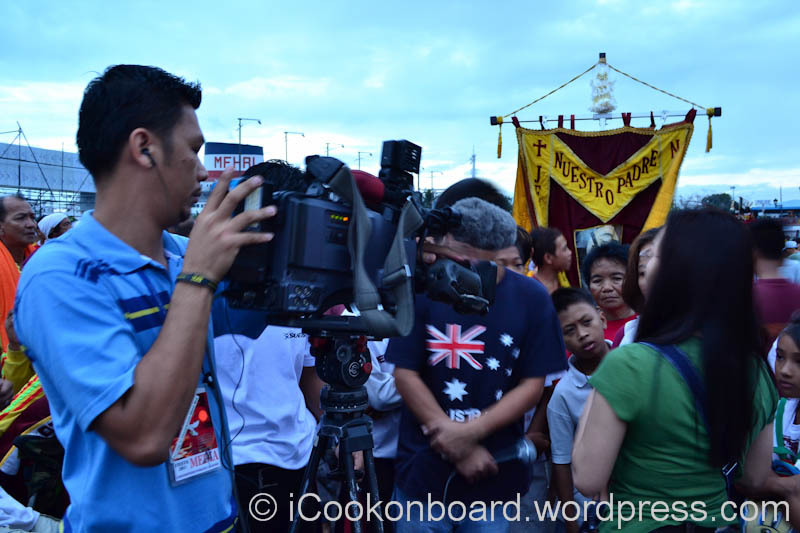 TV networks field reporters and cameramen are all busy picking-up stories of each debotees. 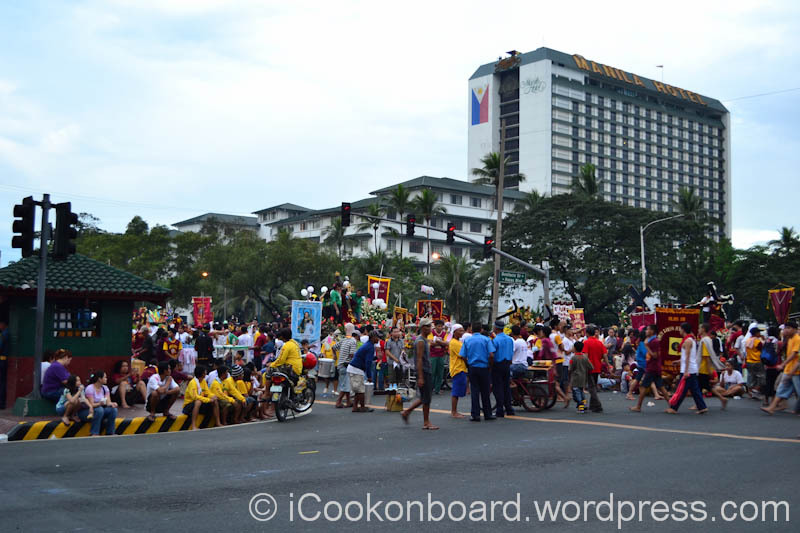 Bonifacio Drive ( Roxas Blvd.) 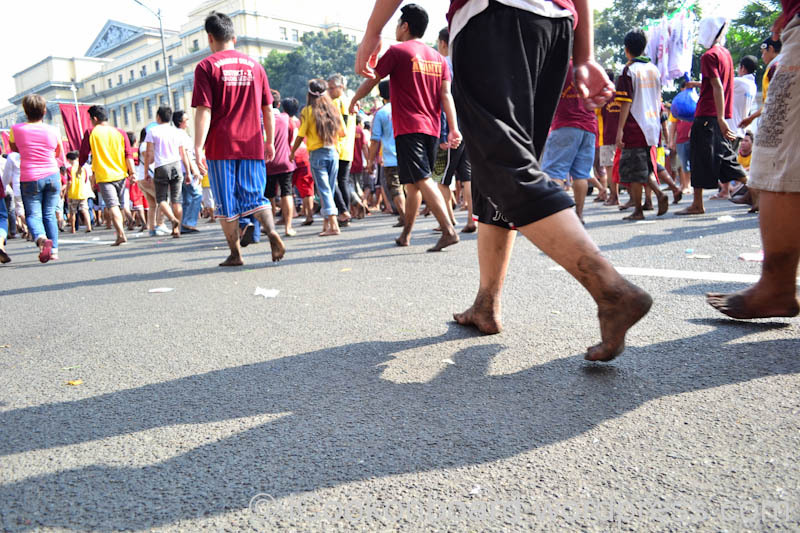 Still free from the crowd, but not for long. 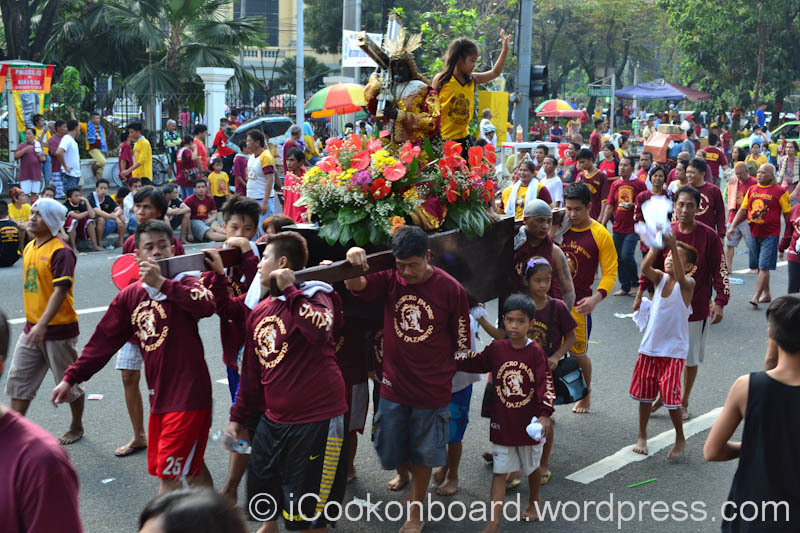 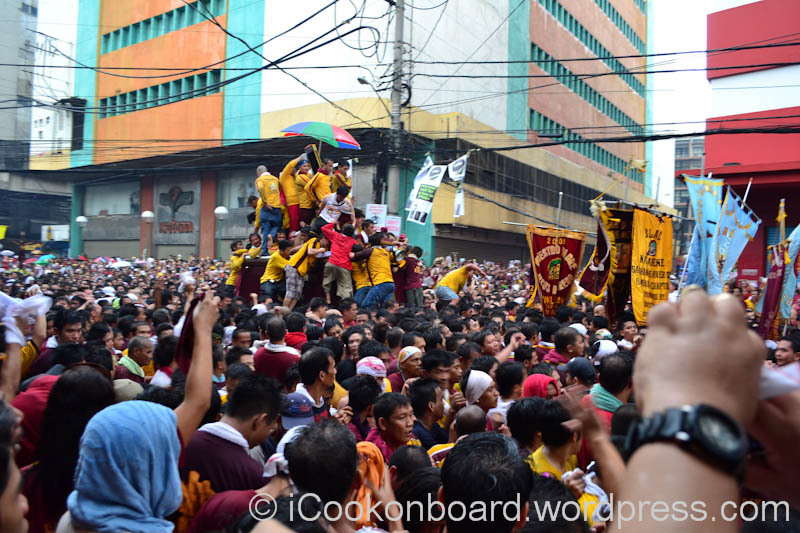 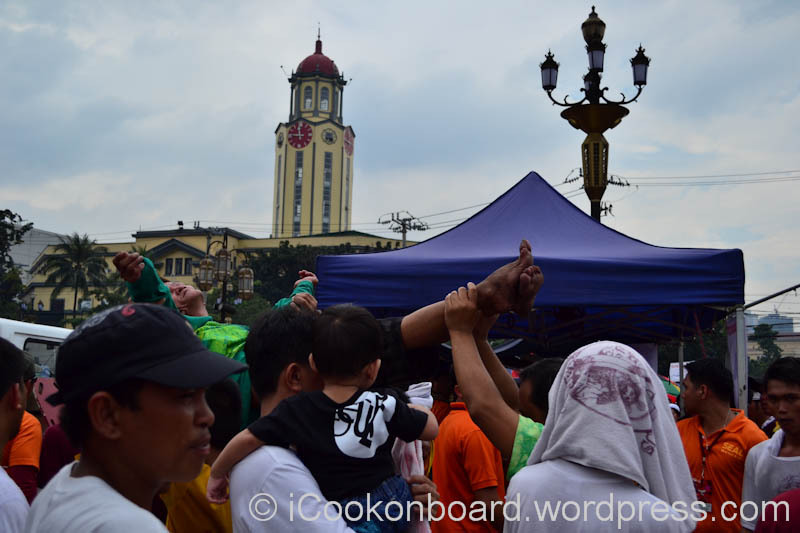 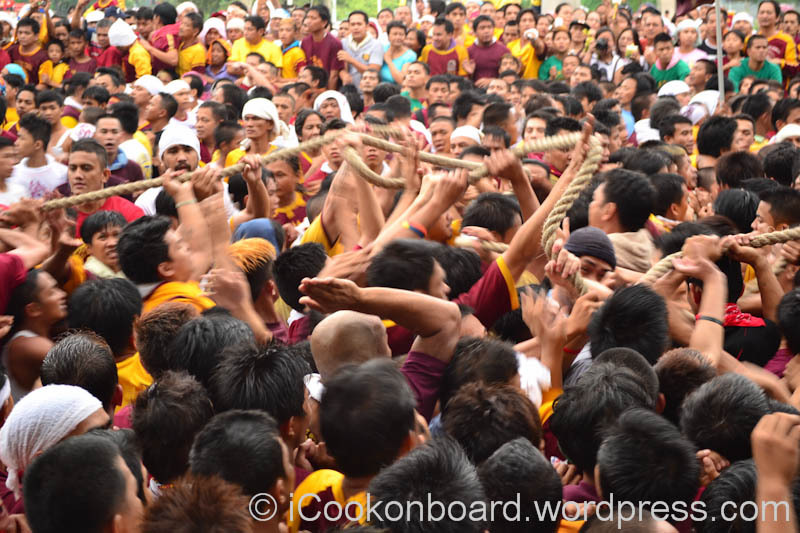 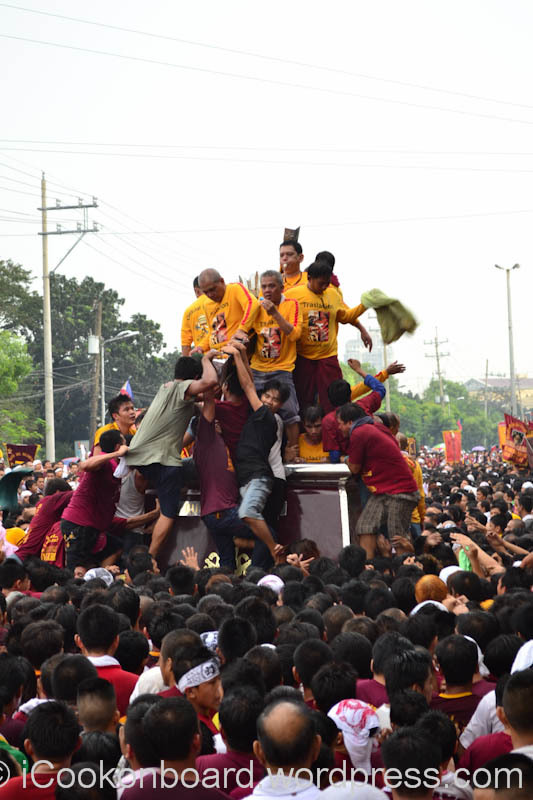 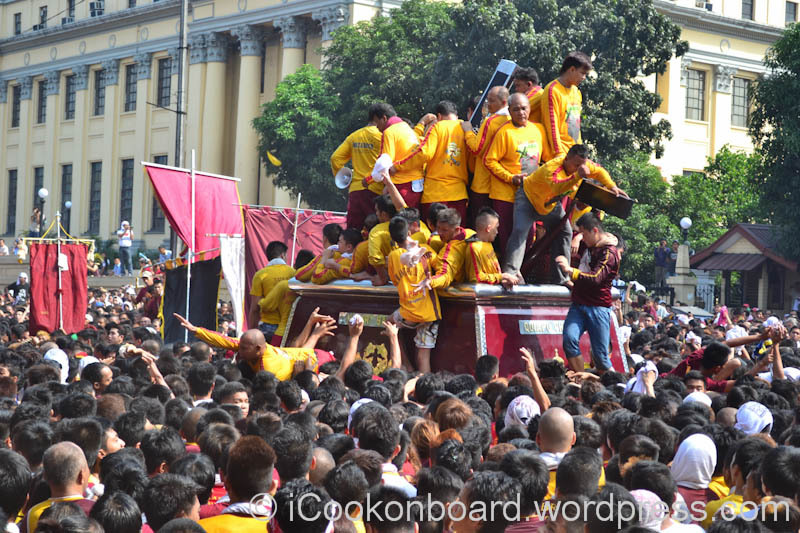 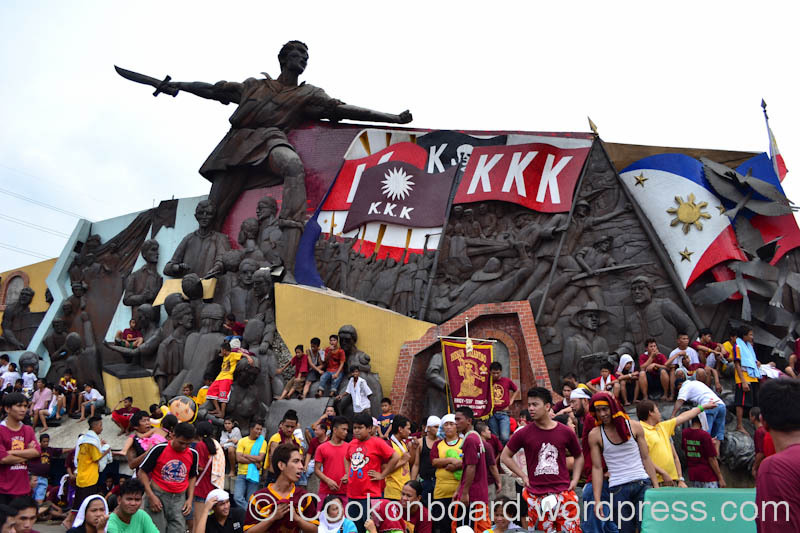 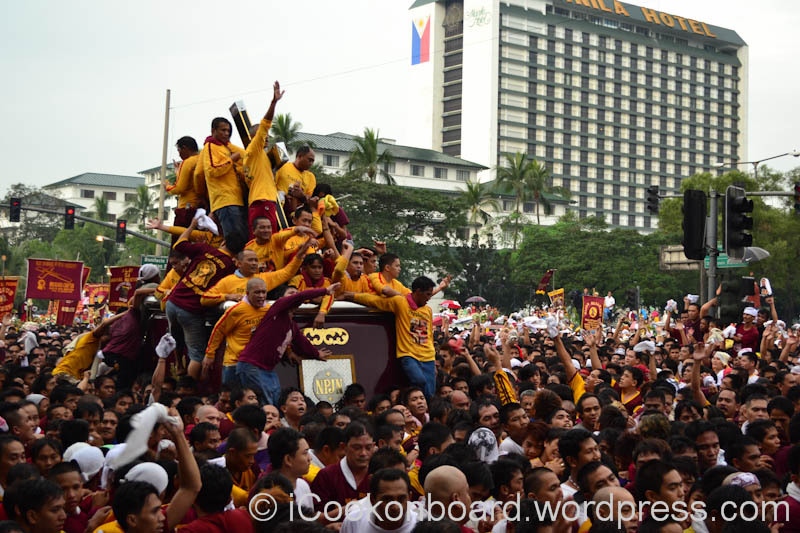 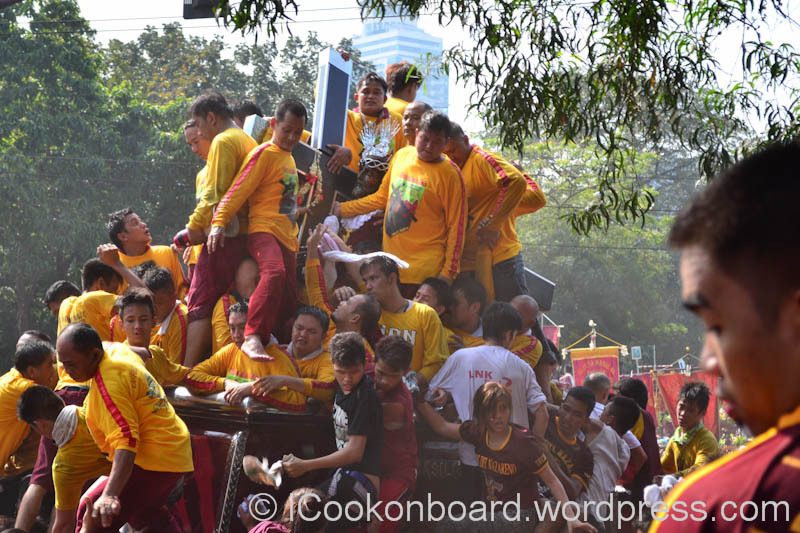 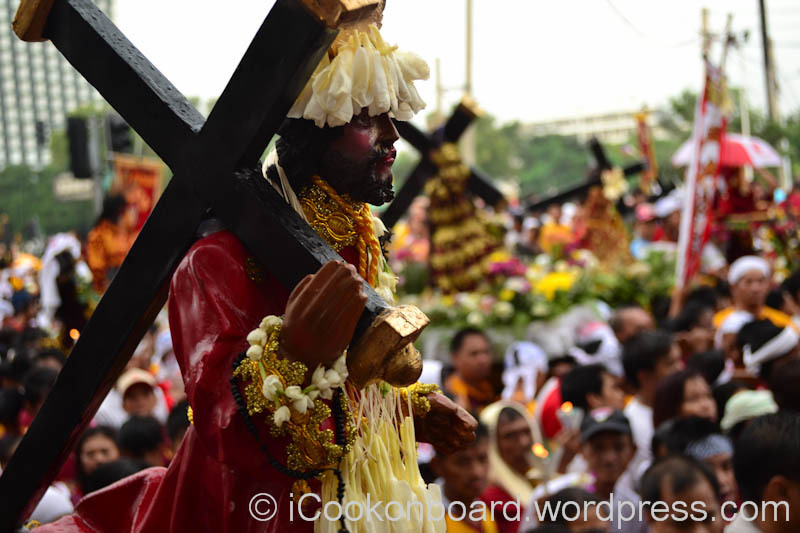 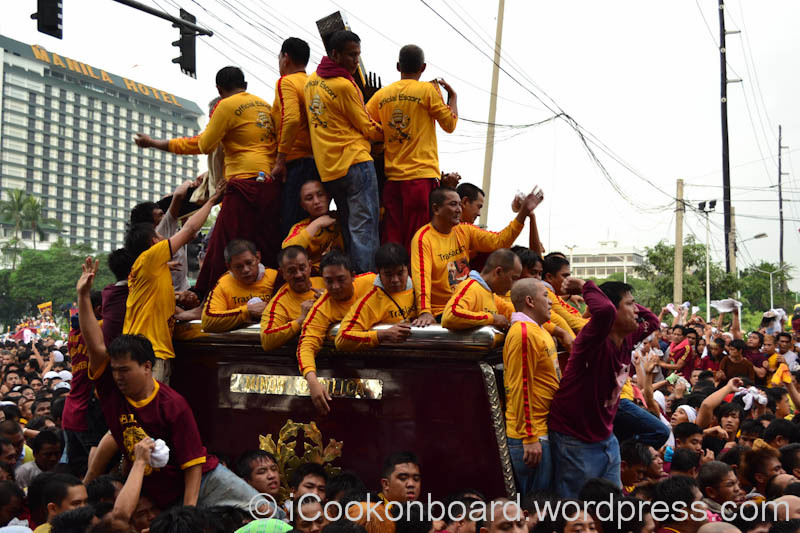 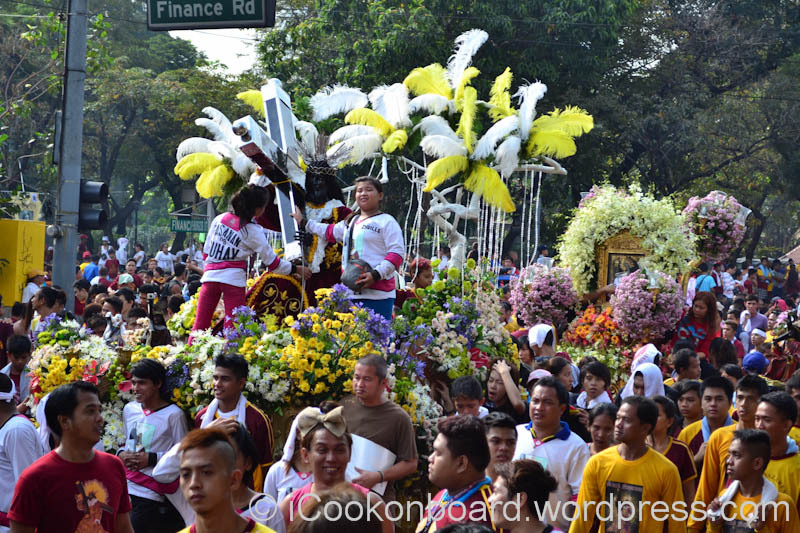 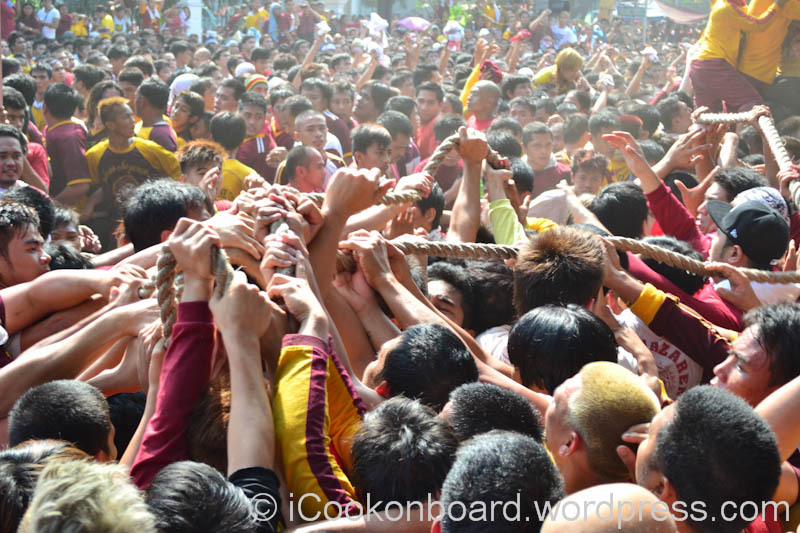 Climbing up to touch the Blessed Black Nazarene takes alot of courage and strenght. 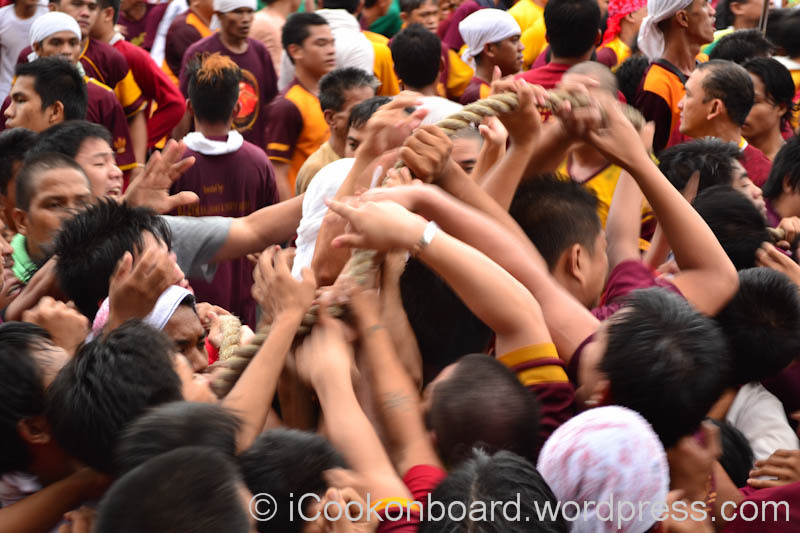 Many debotees willing to get hurt in doing this. 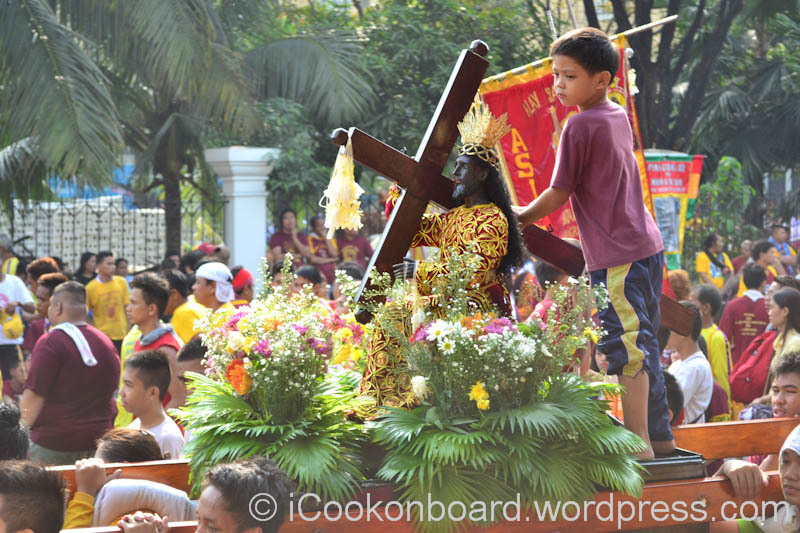 (Like the man above, he past-out due to extreme exhaustion and lack of oxygen. 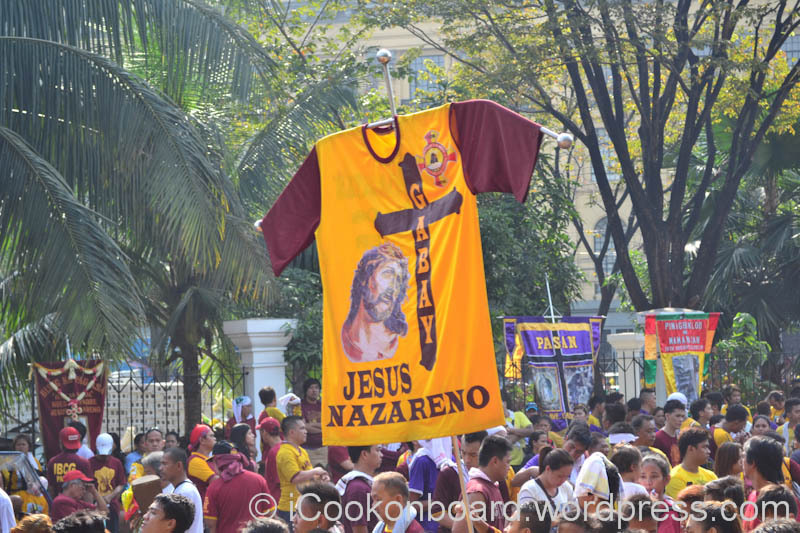 Andas ng Nuestro Poong Jesus Nazareno at Hidalgo st. Quiapo Manila. 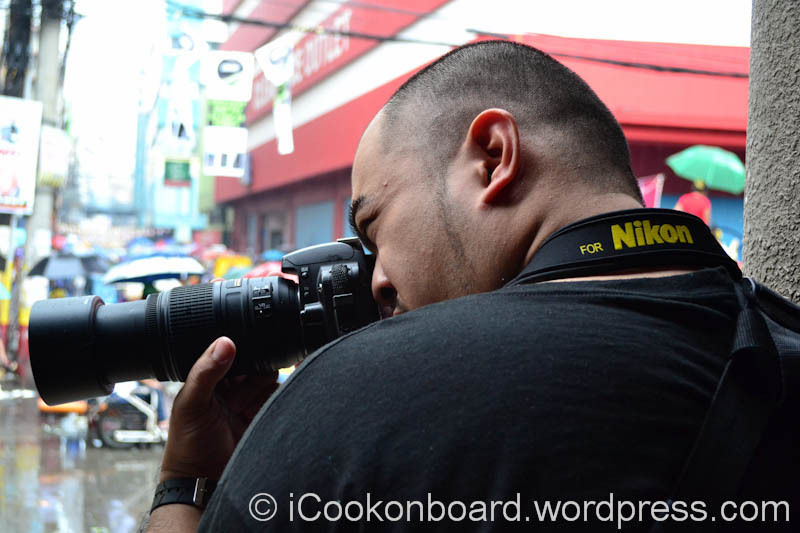 Mimatt is one of my photography mentor, I learn the basics of photography from him. 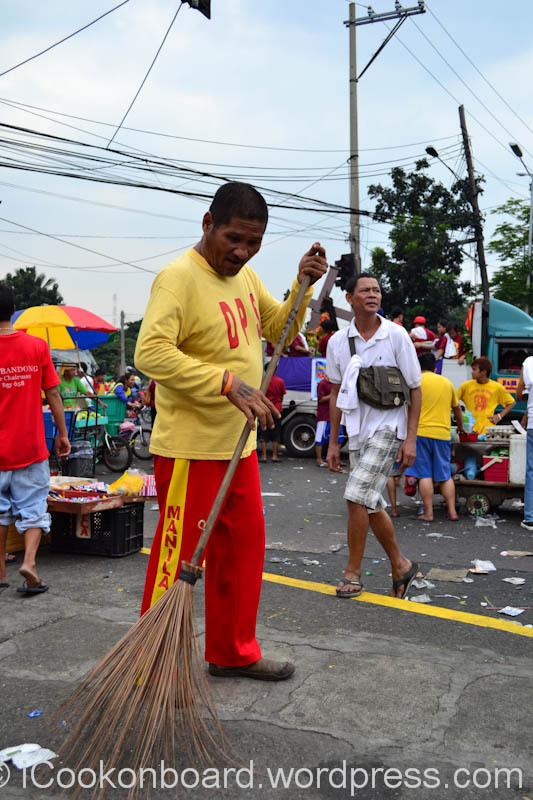 ABOVE ALL, THANKS TO ALL THE METRO STREET SWEEPER !!! 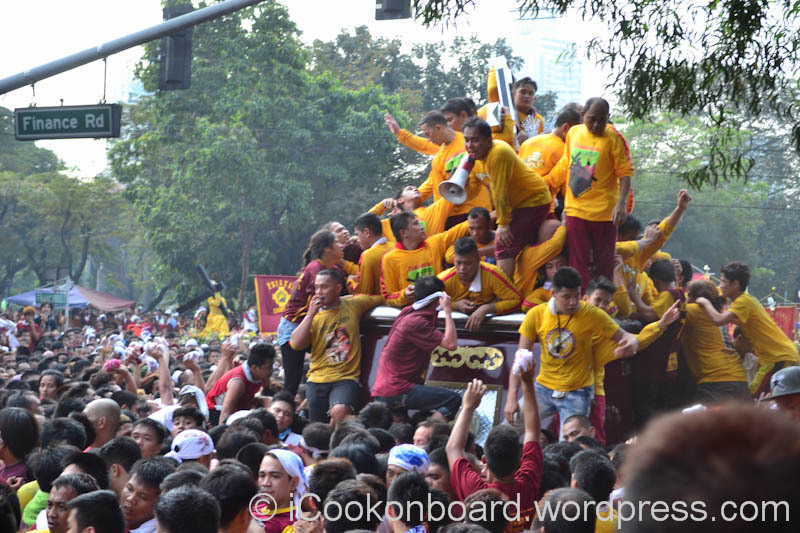 All photos above are taken 3 years ago. 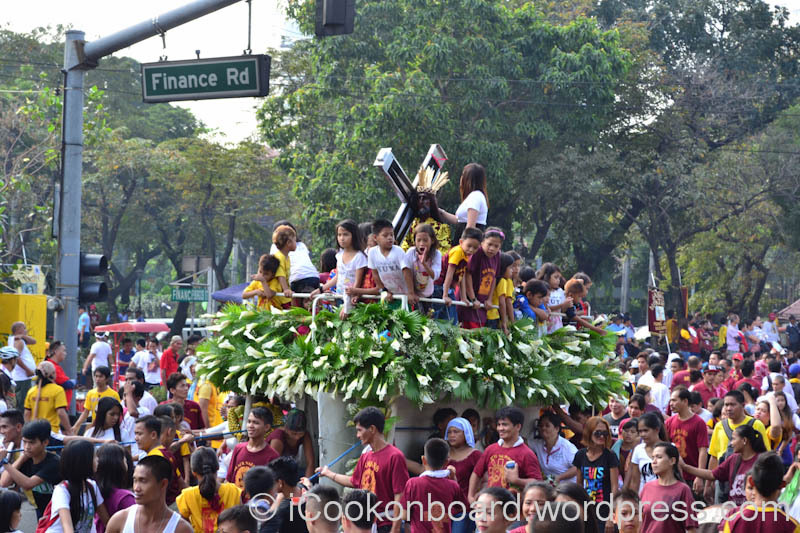 Please watch out for more photos later after we attend the procession today. 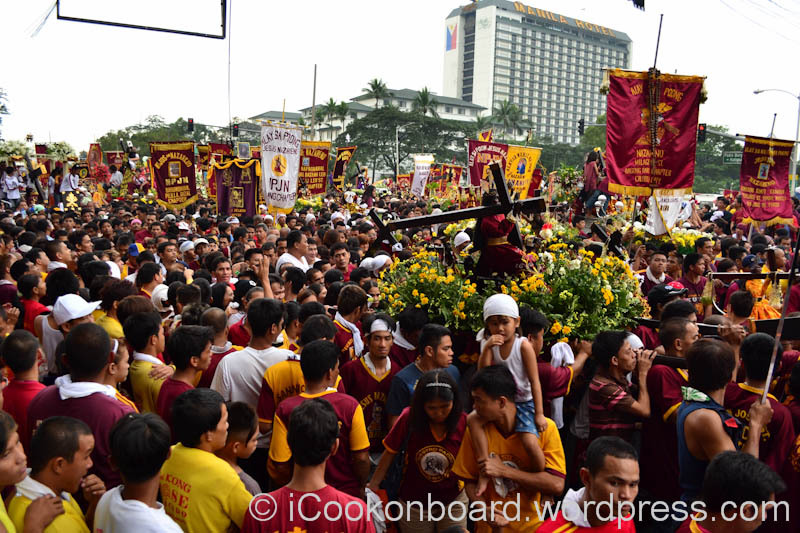 Foreground is my Wife’s hand waving her towel to welcome the approaching Black Nazarene carriage. 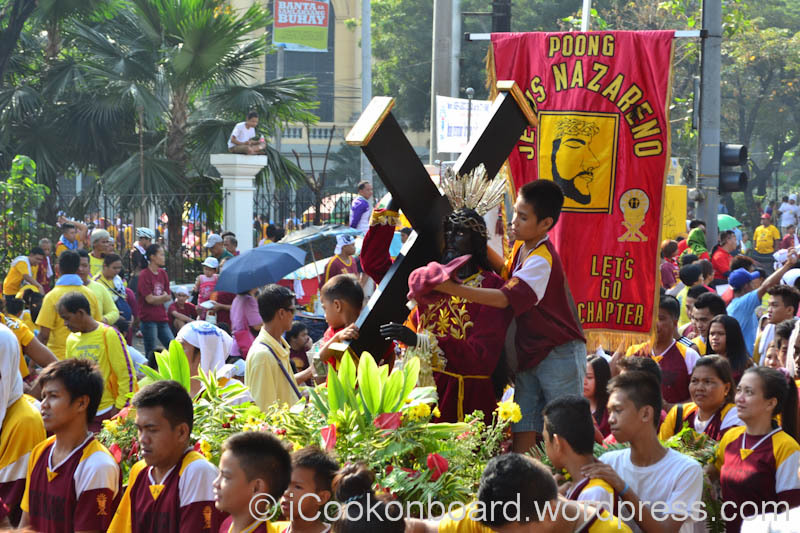 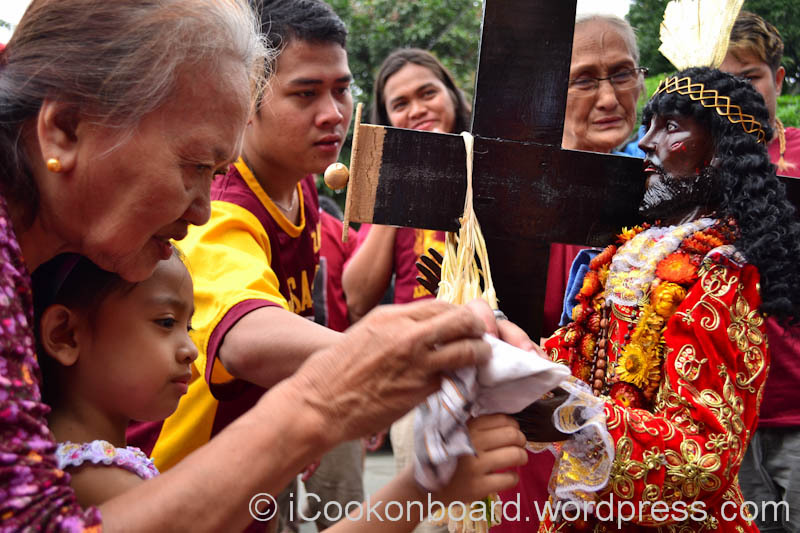 to witness and see for yourself the blessing of Nuestro Poong Jesus Nazareno.